Coca-Cola has released its first ever alcoholic drink, a lemon-flavoured alco-pop, which is available in Japan in three varieties. Created in response to the growing popularity of Chu-Hi drinks – alcoholic beverages flavoured with fruit – among young consumers, the drinks were released this week [Monday 28 May] and are available from retailers in Kyushu. The Lemon-Do drinks are available in Honey Lemon, Standard Lemon and Salt Lemon varieties, which contain 3%, 5% and 7% ABV respectively. 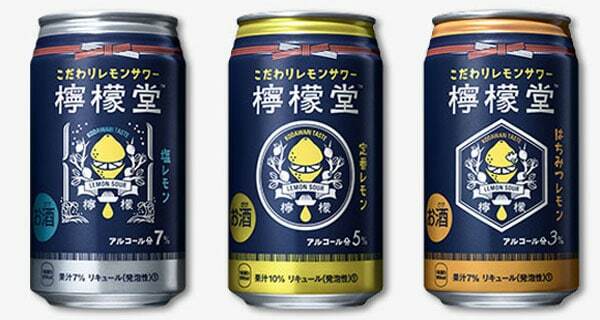 Each flavour will cost 150 yen ($1.40) for a 330ml can. Coca-Cola has said that there are currently no plans to introduce the drink to markets outside of Japan. Jorge Garduño, Coca-Cola’s Japan president, said: “This is a canned drink that includes alcohol; traditionally, it is made with a distilled beverage called shochu and sparkling water, plus some flavouring. “We haven’t experimented in the low-alcohol category before, but it’s an example of how we continue to explore opportunities outside our core areas. “Coca-Cola has always focused entirely on non-alcoholic beverages, and this is a modest experiment for a specific slice of our market.